This is great smoke, nicely constructed and puts itself into the medium to full bodied cigar. The draw is smooth and has a great spicy, peppery flavor. This will remind you of any a lustrous medium bodied cigar that you may smoked. It finished clean and does not have a very after taste this being due to the spiciness of the El Rico. El Rico is manufactured by the General Cigar Company which also produces the La Gloria Cubana line and has resembles to it. 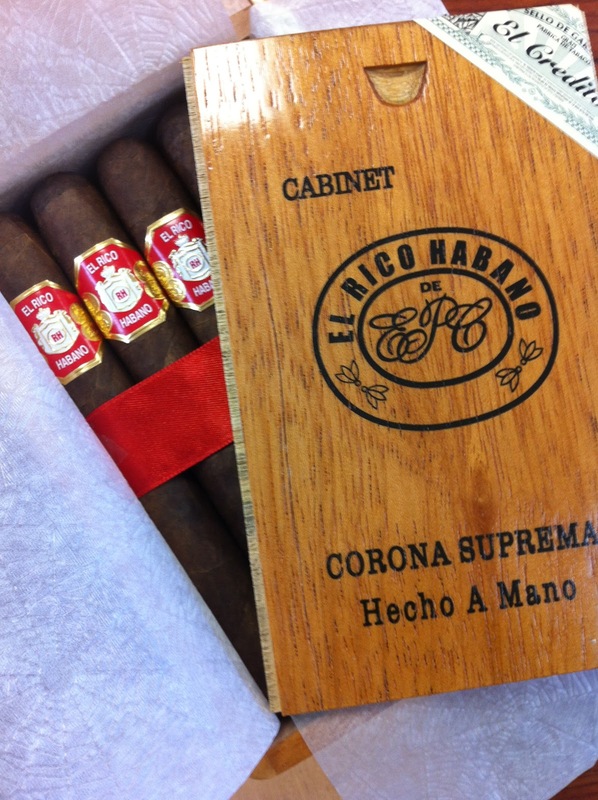 Stop in and enjoy a El Rico Corona Suprema.